The U.S. confirmed Thursday that it will for the first time sell billions of dollars' worth of arms to Taiwan. In a move that is sure to spur anger in Beijing, weapons and equipment valued at $1.3 billion will be sold. 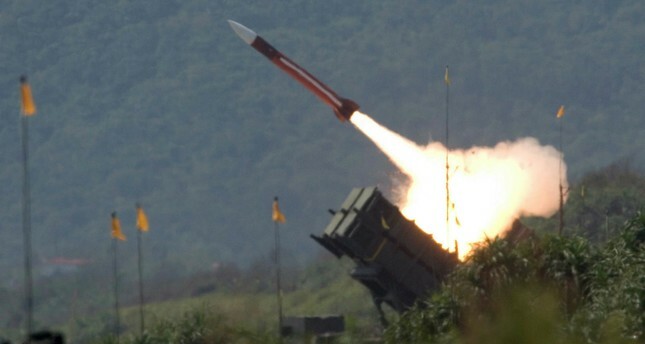 This will be first such sale since the former U.S. President Barack Obama's administration delivered weapons worth $1.83 billion to Taiwan in 2015, according to the U.S. State Department. State Department spokeswoman Heather Nauert said the Donald Trump administration had notified Congress of its intent to approve seven proposed deals. The decision now requires congressional approval. Lawmakers, who are generally supportive of such deals, have 30 days to object. Nauert said the approval did not violate the Taiwan Relations Act that governs U.S. contacts with the island. "It shows, we believe, our support for Taiwan's ability to maintain a sufficient self-defense policy," Nauert told reporters. "There's no change, I should point out, to our 'One-China' policy." Meanwhile, Chinese ambassador to the U.S., Cui Tiankai, criticized the decision, saying recent moves had eroded the trust built when Trump met Chinese President Xi Jinping in Florida this April. According to a U.S. defense source in Washington, the sales will include $400 million in early-warning radar equipment, torpedoes, missiles and other components. Trump sparked controversy in December 2016, when he held a phone call with Taiwanese President Tsai Ing-wen, reportedly the first such direct contact since 1979.